Waterfront lot overlooking Town Creek! Lot 5 includes either a 48 x 21.5 boat slip (longer vessels allowed) with a full length finger pier or a smaller slip with a 12,500 lb lift. 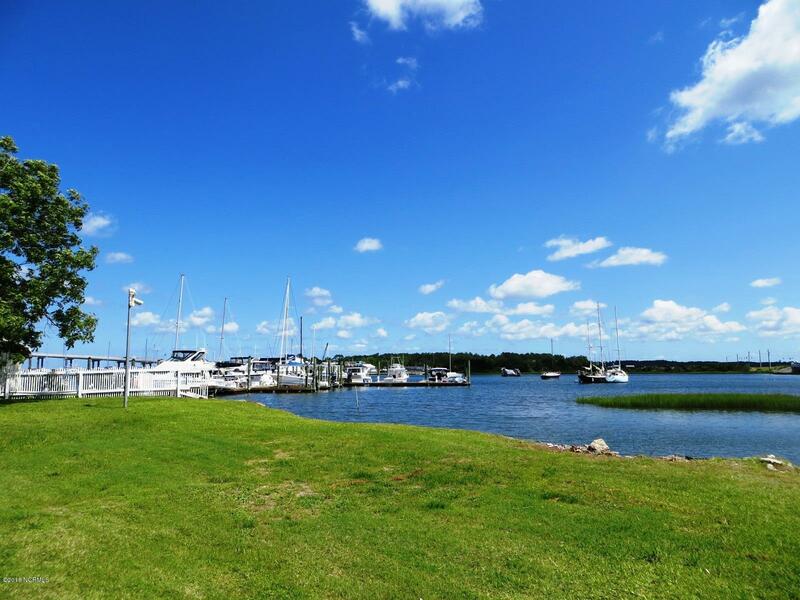 Walking distance to the downtown Beaufort waterfront, restaurants, galleries and shops. Water and sewer impact fees have been paid. Choose your own builder and there’s no time limit within which to build. Owner will provide full home plans if buyer would like to use them. Lot is subject to easements for utilities, dock, outside kitchen, section across from lot 4. Lot 5 also has rights to two visitor parking spaces via an easement. Fantastic unrestricted boating access to Beaufort Inlet and beyond. The Beaufort drawbridge is now continuously open to boat traffic since the completion of the new high rise bridge over the Newport River, providing the most convenient boating access from this amazing location on Town Creek!